Crossing the line! First time we hop the longest latitude to check out the Southern hemisphere, destination Indonesia. We know about that and we are informed and clarify positions what ends up in a good transfer price to Bangsal harbor as well as a ticket for the reasonable public boats to Gili Trawangan. „Maybe later“ best explains life on the Gili Islands. The mentioned public boats do not follow any fixed schedule, they leave whenever a boat is fully boarded with 30 people plus a lot of other stuff. Or sometimes later ;). But spending time waiting is amazingly entertaining at Bangsal harbor, so we enjoy any delay. 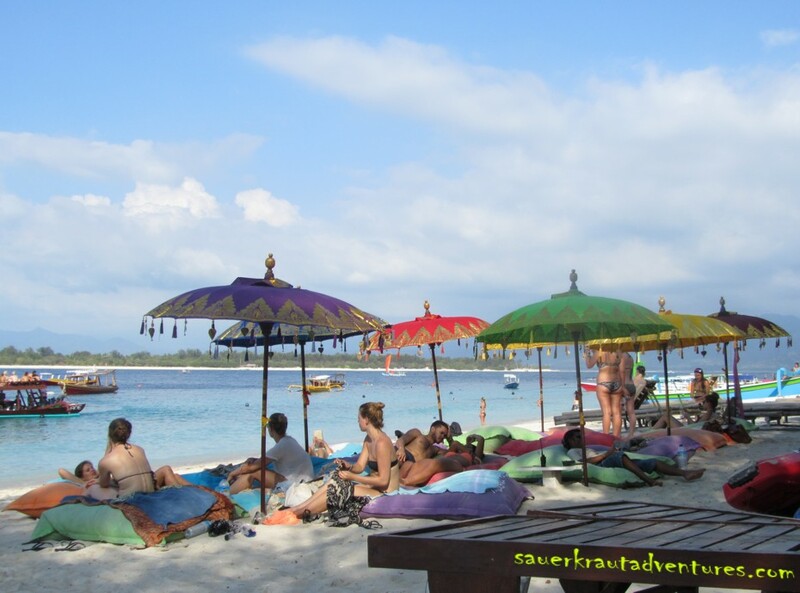 First destination is Gili T, short for Trawangan or Tralala. 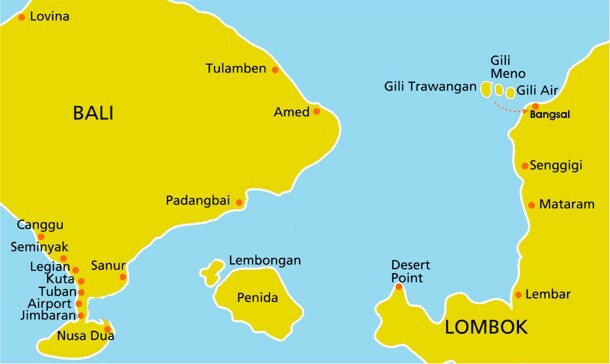 It’s the biggest and most bubbly of all three dream islands northwest of Lombok. What makes them really special: Endless white sandy beaches, turquoise blue clear water, no cars or motorbikes. 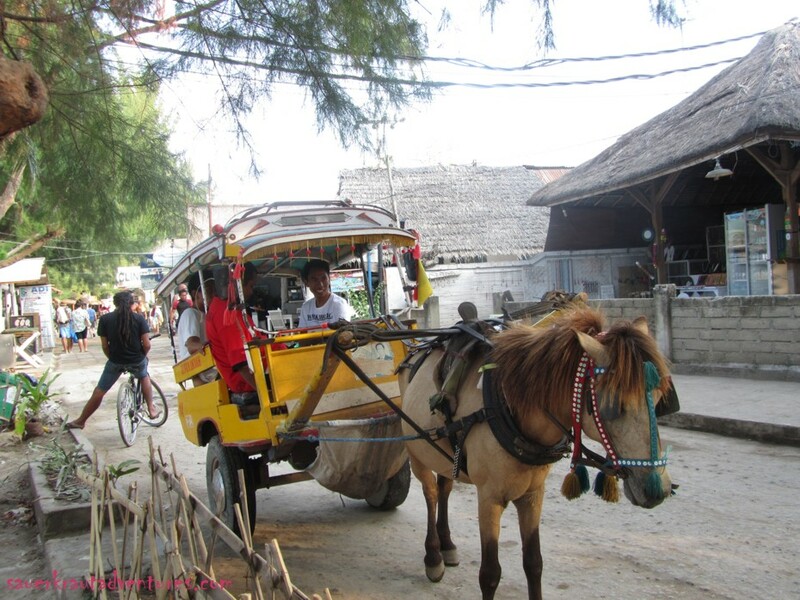 Transportation is only possible by bike or Cidomo, a small colourful horse cart. 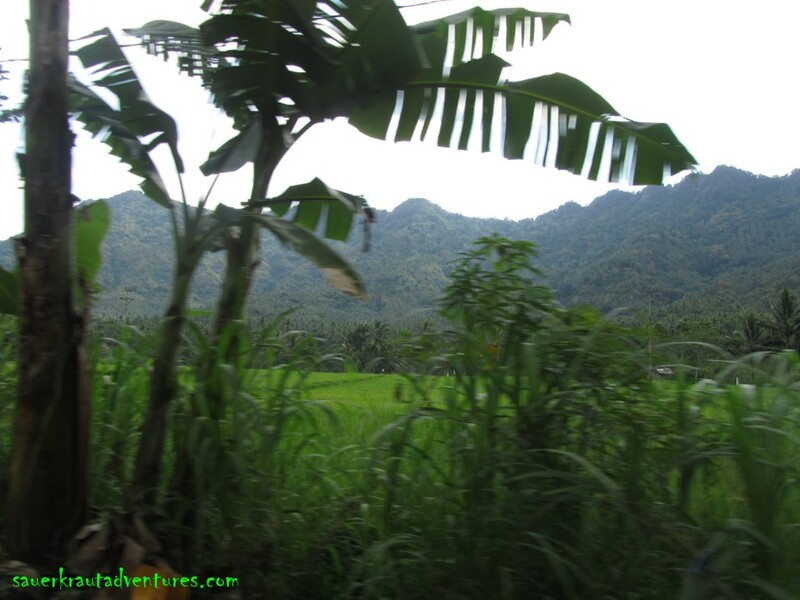 We live in close touch with nature at an inland homestay, run by a super sweet and helpful family. From here, the lively east beach is to reach in less than 10 minutes by bike. Around here is ‘the village’ with many hotels, bars, restaurants and diving schools and best place for night live. All other parts of the island are sparsely populated and really calm. 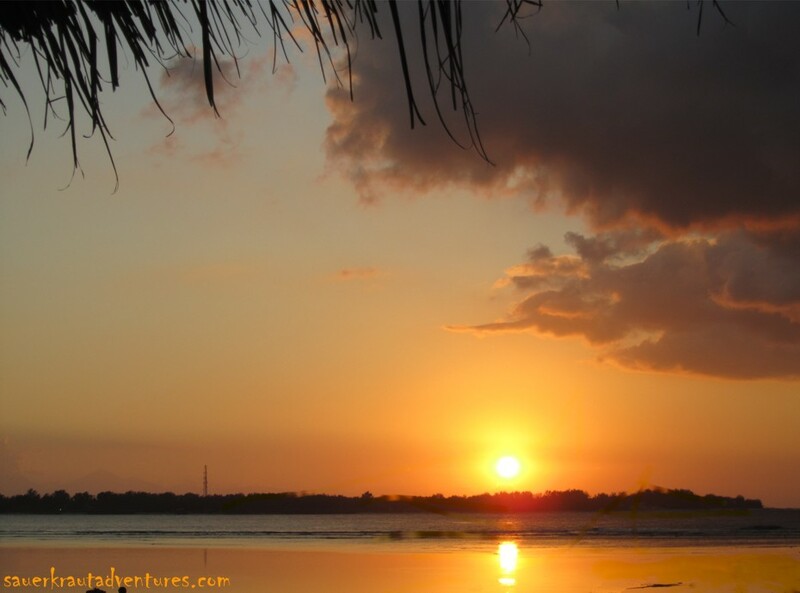 Gili T (as well as the other two Gili Air and Gili Meno) is perfect place to slow down. Time stands still and activities are limited to beach wanderings (approx. 4 hours all around), strolling around the village, swimming, snorkelling, diving, laying in beach bars. And all these things can also be done „maybe later“. We are going to lose our sense of time completely. 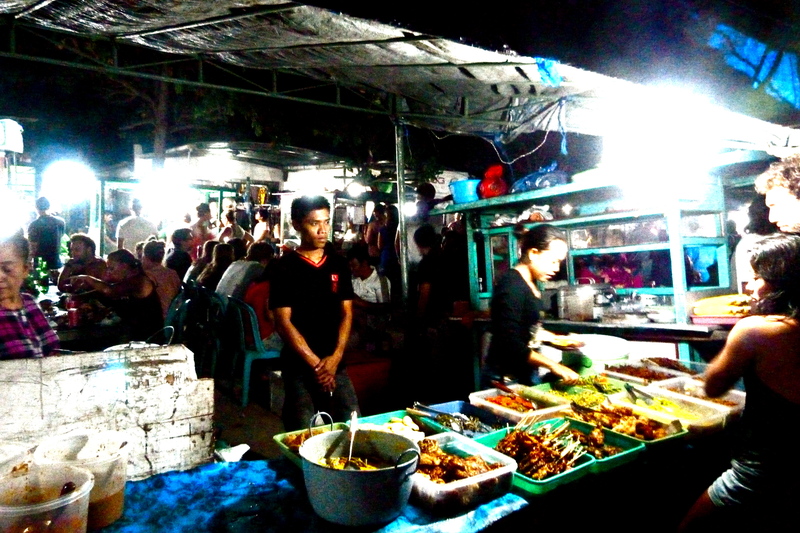 Two handy tips for the evenings: Having dinner at the night market near the pier. Typical Asian cook shops around a wide ground with tables and seats, traditional Indonesian food, extremely yummy (at very cheap price). Plus a good way to meet and chat to other travellers. After that check out party life at Irish or Sama-Sama bar, Sama-Sama has been our favorite because of Reggae live music. Great party along the lines of “Save water drink beer”. Okay, sama sama (= you’re welcome). 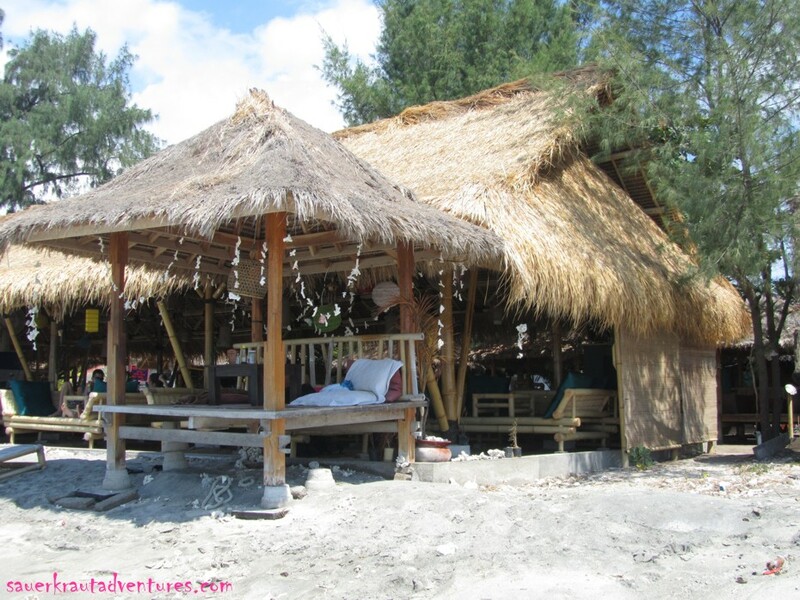 After two days on Gili Trawangan we move to Gili Air. Still more calm than Gili T but similar features. 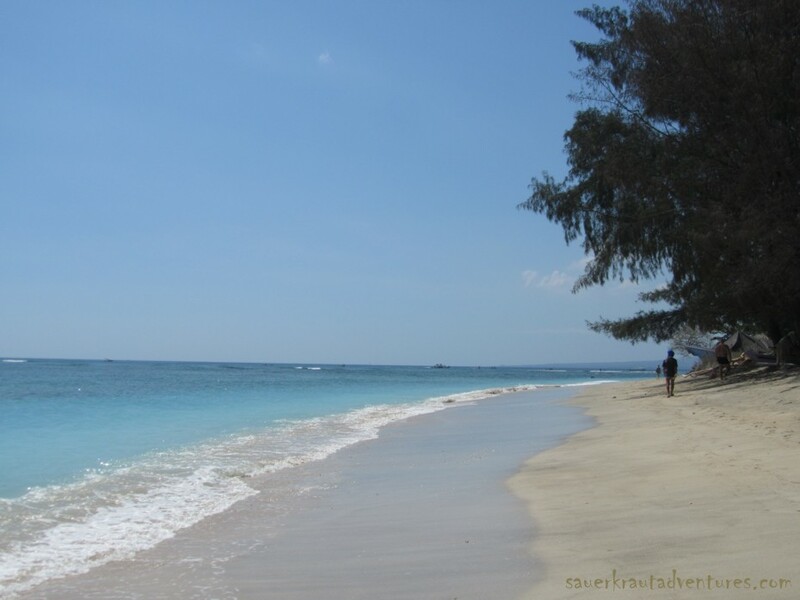 Within 3 hours you can wander around the island along stunning beaches, in front of the east coast great reefs for snorkeling (in swimming distance). 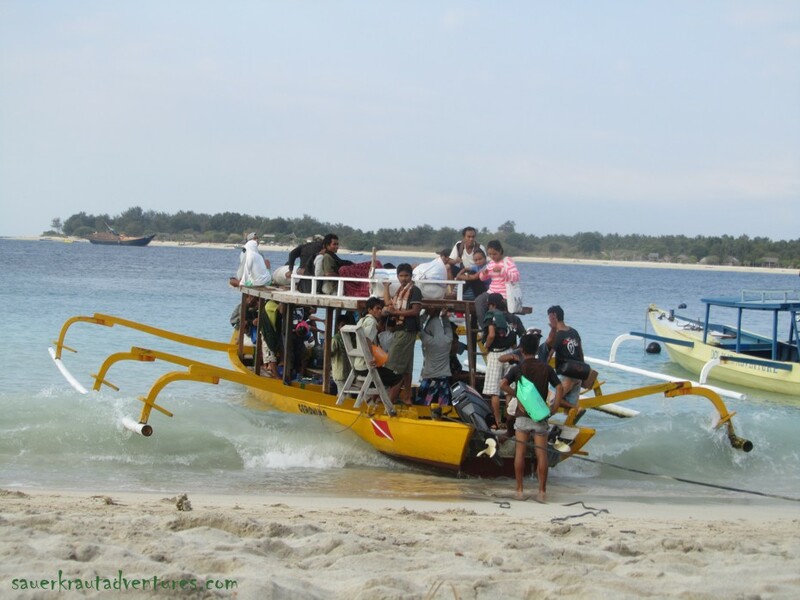 Apart from that there are many snorkeling tours to the best spots of all three Gili islands. Nice beach bars to spend the evenings, but not really big parties. We move from an expensive bungalow to another homestay. Sabar, the owner, runs 3 bungalows a bit inland and a Warung (small, family-run restaurants). 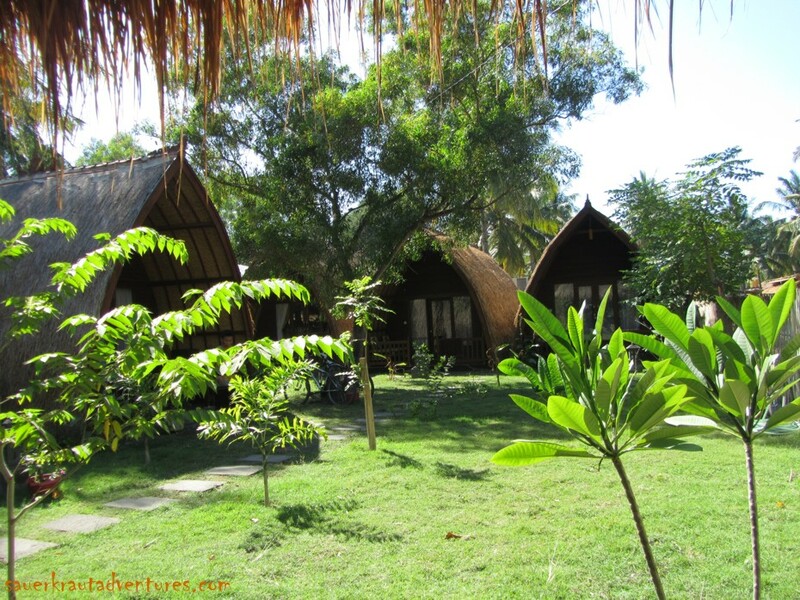 Like on Gili Trawangan it is recommended to avoid accommodation directly at the beachfront in terms of getting better value for money. 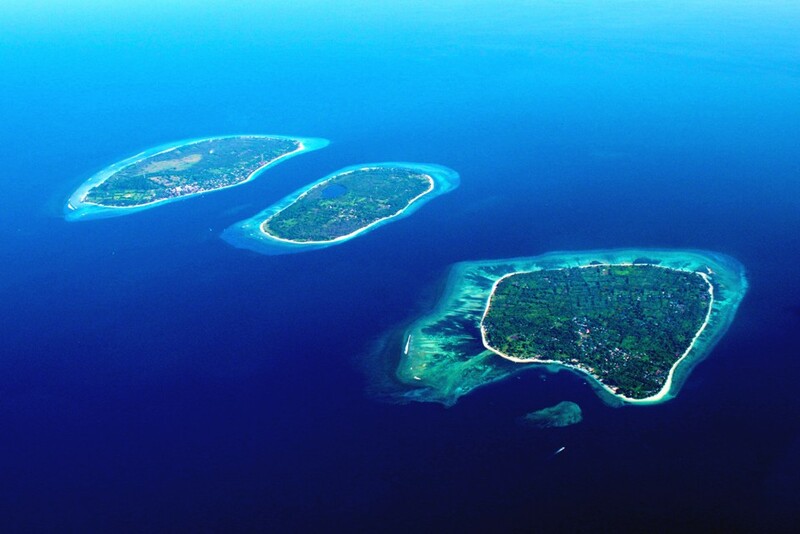 Those who expect Asian-like cheap prices on the Gili Islands will be surprised negatively, as the overall price level is pretty high. Accommodation in homestays and eating regional food on street markets or in warungs might help to go easy on the budget. On Gili Air, by the way, we find out that a „maybe later“ as a refusal is certainly better than a strong „No“. Ice cream? Dinner? Snorkeling trip? On the Gilis you can’t go anywhere without getting invited to do any business. Everyone is happy to hear a „maybe later“ and does not take it too serious. Of course, please don’t do it with touts at the harbor or beach vendors – here a no-no is not enough, simply ignore them (even if it feels really impolite thus hard). To Gili Meno we just go on a day trip from Gili Air. Gili Meno is the smallest and most undeveloped of all Gili islands and from my point of view perfect for honeymoon and twosomeness. Just some resorts and again, dream beaches around the island – too calm for me but absolutely nice to visit for one day. Conclusion: Three true treasures in the Java Sea, an absolute must-see. Good to start an Indonesia round-trip slowly or to come down after visiting Lombok or Bali. Quite overpriced but alternatives in homestay accommodation and eating at warungs or street markets, using public boats. Necessary to negotiate prices in advance, strong tendency to fleece tourists. On the other hand easy to get in touch with the locals who are nice and mostly helpful. Two big mosques on Gili Trawangan from which prayers (not just the call to!) are blasted to the whole island. During Ramadan an exhausting experience. Also during Ramadan slight restrictions in terms of live music and partying (end at midnight or silent discos with headphones). But in general highly recommended, now … or maybe later.